The purpose of this paper will be to discuss any form of business and to look into the business strategy of the same including the vision, goal, mission etc. for the entity. The entity which has been chosen for the purpose of this report is the USA Government and the topic which will be looked into through this report will be the corruption which has been rampant in the USA Government. This has been chosen as a business entity in view of the fact that the author believes that the USA government has turned into one through its various internal stakeholders who have been utilizing the same for sustaining their own personal agendas. There have been various instances in the past and recent past history of the USA Government where there have been unconfirmed rumors regarding possible atrocity by the internal people which have been hidden under some other eyewash for the general people. This will be done through extensively discussing these instances which can be identified throughout the entire history of this subject. Before starting with the discussion, it is important to understand how corrupt the general people of the country consider the government to be. In a recent study published by CNN, it has been stated that 75 per cent of the Americans are of the opinion that corruption is widespread throughout the government. As has been reported by CNN, this survey done in the year 2016 found that three fourth of the Americans are dissatisfied with the way the nation has been governed and 69 percent are “somewhat angry” about the way things are going in the country (Gallup, 2016). This validates the topic which has been chosen for the study. This paper will begin with a discussion of the famous Rothschild family and the way the same controlled the banking industry of USA and the world for their personal gain. The discussion will be started from Mayer Amshel Rothschild as well as his involvements with banking. Following this a discussion on the Rothschild family’s funding the central banks of the world will be carried out which will also look into how the Rothschild's' have funded practically all the wars in history. This will also include Abraham Lincoln’s attempts to stop the Rothschild from funding the wars. In continuation to these discussions, the paper will be looking into the way banks have become business entities and have dominated the world and various important global proceedings. This will include the discussion on the way the American governments has invaded other nations for oil supplies, poppy seed farms and other expensive goods including the "False flag attacks" which are terrorist acts performed by American government agents in hopes to give the American people hatred towards another country which help in getting a reason for invading the country. The Rothschild family is a very rich family originally descended from Germany and started by Mayer Amschel Rothschild who founded the banking business in the year 1760s. Rothschild managed to establish an international banking family through his five sons, who established themselves in London, Paris, Vienna, Naples and modern Frankfurt. This family has been able to exert a lot of pressure on the political scenario of the world as well as USA. Post the family was able to subjugate the entire Europe for its own benefit, during the early 1800s, it came to the United States with the intention of having a stronghold of power in this country as well. At that point in time the USA was uniquely poised in terms of the modern history in view of the fact that it was only the 2nd country in the history of mankind that was formed with the Bible as its book of law. The Constitution which was uniquely magnificent was especially designed with the intention of limiting the government’s power and to keep the citizens of the country free as well as successful. The citizens of the country fundamentally were hardworking migrants from the European nations who wanted to stay freely and was looking for only opportunities to live and work in an inspiring environment which was wonderful in the country. This led America to become a deeply prosperous country which was widely acclaimed around the globe. In view of the fact that people from across the continents viewed America as the promised land, the Rothschilds and their cohorts who were the big Bankers in Europe considered this country as their next big target for expansion which was developed through unique experiment from an entirely different perspective as they considered looked upon it as a major threat to their future plans. "If that mischievous financial policy which had its origin in the North American Republic [i.e. honest Constitutionally authorized no debt money] should become indurated down to a fixture, then that government will furnish its own money without cost. It will pay off its debts and be without a debt [to the international bankers]. It will become prosperous beyond precedent in the history of the civilized governments of the world. The brains and wealth of all countries will go to North America. That government must be destroyed or it will destroy every monarchy on the globe." "The money power preys upon the nation in time of peace and conspires against it in times of adversity. It is more despotic than monarchy, more insolent than autocracy, more selfish than bureaucracy. I see in the near future a crisis approaching that unnerves me, and causes me to tremble for the safety of our country. Corporations have been enthroned, an era of corruption will follow, and the money power of the country will endeavor to prolong its reign by working upon the prejudices of the people, until the wealth is aggregated in a few hands, and the republic is destroyed. " In view of the fact that Lincoln went on with his battle against the inception of the central bank and it is believed by a lot of researchers on this topic that his expected victory for impacting Congress for limiting the life of the Bank of the United States to only the years when the war lasted was the driving reason behind his assassination. In continuation of all of these proceedings, the "Federal Reserve Bank" was developed and the name was made for deceiving the mass people of the country. This Bank is neither federal, nor government owned. It is owned privately and works as an independent entity similar to other corporations. The employees of the company are not in civil services. This bank has been able to create immense amount of private wealth for the family which is being discussed here. Through this fortune and imperial elite Rothschild family has been able to manipulate the economy of the country for their own agenda and used the government as the enforcer for all the demands of it. It has been able to control the times, dictating business, affecting lives of the people and virtually all the factors which are of the interest for the general people. Also, the Rothschild's have opened central banks in countries that USA is constantly at war with. The mission of Rothschild family as well as the American government is to financially take over the world and to a one world government. In case Rothschild's own a central bank in every country, the entire world’s debt will be owed to them. If the whole world owes money to them, they rule the world. Quotes from an old member of the Rothschild family, Nathan Rothschild, proves this theory. Nathan said "The man who controls Britain's Money supply controls the British empire, and I control the British money supply". It takes influential power for maintaining an empire and the Rothschild family is also no different. The concerns of the leadership of the "Federal Reserve" and its secretive international benefactors appear to go well beyond currency and interest rates. There have been various instances in which the government of the country has not been able to show the characteristics of self-regulation as well as individualistic accountability. Self-regulation comes into the picture in case the entity has its own ideas on the subject of the appropriateness or inappropriateness of the behavior and decides to opt for their actions accordingly (Ormrod, 1999). This can be defined as the control applied by the people on his or her psychological activities and processes for the achievement of goals or problem solving (Rojas-Drummond et al., 1998). The study done by Pintrich’s (2000a) concluded that self-regulation is a constructive as well as active process in which the entities arrange their own objectives for their learning and put efforts for monitoring in addition to controlling their cognition, behavior, and motivation. These processes are focused on knowledge acquiring apart from the processes for managing behavior for improvement in the experiences and skills (Bandura & Wood, 1989). It has been identified that these factors are completely missing from the values of the internal people who have been working for the government. There is also a lack of in view of the fact that there is very little scope of evaluation of individual activities or performances. All the members of the government are usually responsible for doing work of high-quality with the intention of achieving their objectives. However, a lack of all of these factors have led to corruption by the Government and manipulation of the country. These corruptions by the US government are not positive for the citizens of the US. One major instance of such activity is where the media of the country are controlled by the government to ensure that the countrymen do not get to know about some specific events which the government does not want them to know. There are 6 corporations in the country which own all the news stations and related media which means that these 6 corporations control what the general people are getting to know. These news stations often do not give away the news of various tragedies of the world as well as the country and for this reason everyone is oblivious of the environment and lives around them. The social media and the high use of the same which is being utilized by the enforcers for lack of social communication and skill can also be questioned. It has been seen that the people tend to grow communication as well as social skills apart from the capability for working up their strengths in terms of the skills if the social interaction is of high quality. This also encourages the people to develop higher level of awareness regarding the environment and concerns of the overall world and the citizens. Hence the current systems of the country are not keen on collaborative learning is a good way for developing communication and group skills. This also leads to people lacking skills like decision making, leadership, building of trust, communication, and management of conflict. In view of the fact that the face to face interaction is one of the most significant elementary components of social fabric, the same is developed and learnt through the collaborative learning in a very efficient as well as effective manner. The same also teaches making challenges to the other people’s opinion as well as their conclusions and reasoning with the intention of promoting higher-quality decisions, promoting efforts for achievement of the shared objectives, acting in ways which are trustworthy as well as trusting, staying motivated for striving for mutual benefits, and feeling lower level of anxiety. All of the social skills are adequately addressed through the activities which are not currently promoted by the education and social system of the country. The government has attempted to separate the civilians in our country in order for them to be more powerful. Furthermore, they motivate our country to live a certain way, a way that leaves us oblivious to the corruption. We wake up every day, go to our jobs, go to sleep and wake up to work again. The lives of the general people are constrained to this cycle. The very relevant point also includes the gun control., President Obama has recently made the largest arms sale in history to another country, but is attempting to take the guns away from his own people. There can be some ulterior motive to it. The activities related to corruption of the American Government can be traced back for centuries. As per the theorists, all of the history of the country has been a carefully thought out plan in view of the fact that every American president, aside from one, has the blood lineage from one person. The separation of races is all part of the plan, if they separate people and get them to hate each other, they will never fight together to over throw a corrupt government. One day prior to 9/11 there was a reported $1 trillion U.S. missing from the Pentagon. 9/11 was no coincidence, it was a cover up for something and an easy way to invade middle eastern countries for their oil and other goods. The Bush Administration had clear agenda of going to war with Iraq. This has been documented so heavily that Veteran White House reporter Helen Thomas has enquired of the same from the President. However, the then President denied it flatly, citing 9/11 as the justification for what he and his administration did. In the months leading up to 9/11, there was an unprecedented amount of warnings that "Al-Qaeda" was about to conduct an attack. Between 9:30pm and 10:00pm on 9/11/2001, Bush says, "this is a great opportunity. We have to think of this as an opportunity." He does so again during his State Of The Union speech on 1/29/2002. Karl Rove said, "sometimes history sends you things and 9/11 came our way." The level of fear that resulted from the attacks of 9/11 was nourished and maintained, and still is to this day. Reich Marshal Hermann Goering once said "of course the people don't want war. But after all, it's the leaders of the country who determine the policy, and it's always a simple matter to drag the people along whether it's a democracy, a fascist dictatorship, or a parliament, or a communist dictatorship. Voice or no voice, the people can always be brought to the bidding of the leaders. That is easy. All you have to do is tell them they are being attacked, and denounce the pacifists for lack of patriotism, and exposing the country to greater danger." In 1992, Dr. John Coleman was able to put together a chain of logics in his book Conspirators' Hierarchy: The Story of the Committee of 300. Through the help of creditable scholarship and thorough researches, Coleman has been able to identify the participants and detailing of the agenda of New world order backed by the American Government. In this book Coleman has been able to accurately summarize the purpose of the Committee of 300 as the development of a one world government as well as a monetary system with a single unit, under which, similar to the feudal system as it was in the Middle Ages, permanent non-elected hereditary oligarchists will be self-selecting from among their numbers. In this single world body, there will be restriction on the population through limitation of the per family number of children, wars, diseases, famines etc. to achieve a world with 1 billion people useful for the ruling class. People will be living in the strictly and clearly defined areas, remaining as the total population of the world. Some strengths of the nation include its current status and the way the world views them. Some weaknesses include the power of the people and their ability to take action. Some opportunities for them include, world dominance and complete control of everything. An opportunity for us would be to overthrow the corrupt government and live life the way it is supposed to be lived. A threat for them is to destroy the world as we know it through all the war and destruction that they create. A threat for us is to lose complete freedom and live life how someone tells us to. President Obama’s 2nd term efforts for expansion of the spending by the government, the administrative state’s scope as well as the regulations have been thwarted for some amount through Congress’s political opposition. Yet the economy of the country has not been able stop its underperformance in spite of an energy boom led by the private sector which has been able to make the U.S. the world’s largest producer of natural gas as well as oil. Uncertain responses to foreign policy challenges, particularly concerning the Middle East, have contributed to a loss of support for the President and strong gains for Republicans in Congress and state legislatures. Political tensions related to racial, religious, and social issues have increased over the past year. Socio-cognitive developmental theory (Johnson & Johnson, 2002; Morgan, 2003). These are the three theories which will be looked into briefly for the discussion on the theoretical antecedents to the various strategies for development of a corruption free world. This set of theories is focused on the way the individuals work together as part of the groups as well as the way various types of social interactions institute the final consequences of the activities of the people. Social interdependence can be identified in the case when individuals have shared objectives as well as all the outcomes which can be influenced through the actions of each of the individuals of the society (Johnson, Carson & Johnson, 1989). Social interdependence theories posit that within groups, three types of interdependence can occur: positive interdependence, negative interdependence and no interdependence. Occurrence of positive interdependence (cooperation) takes place in case the individuals comprehend that the shared goals can only be achieved if and only if the other individuals in the group also are able to attain their respective goals (Johnson & Johnson, 2002). Negative interdependence which is also termed as competition, takes place in case the goals of the individuals are negatively correlated (Johnson & Johnson, 2002). No interdependence or no interaction occurs when each individuals of the group work on his or her own for accomplishing objectives without getting related to the other people in the group. Individuals thus seek an outcome that is personally beneficial without concern for the outcomes of others (Johnson & Johnson, 2002). This set of theories assume that people would like to put in more efforts for the tasks which can provide them with rewards as well as the people have a tendency of not working on the tasks which fail to provide them with almost no reward (Morgan, 2003). Hence this theory accepts that collaborative efforts are driven through extrinsic motivations for achieving rewards (Johnson & Johnson, 2002). This is also in line with Slavin’s motivationalist perspective by which assumes that learners are driven by motivated self-interest and focuses on the reward or goal structure. Hence it is important that collaborative knowledge acquiring can reward the people on the basis of the group’s performance. Almost all the socio-cognitive development theorists assume that languages and social interactions are encompassed through the human development and learning process. These also help the processes for knowledge acquiring which can be practiced in the future for the various primary educational institutes through modification as well as maintenance of the sane for attaining a knowledge acquiring with higher effectiveness and efficiency. Positive interdependence has been defined by Johnson and Johnson’s (1983) as the sense amongst the team members which let them understand that their success is dependent upon each other’s success. This helps in providing a common purpose through developing motivation amongst the members of the team for accomplishing further than their distinct accomplishments (Johnson & Johnson, 1999). It has been opined by the subject matter experts that the face to face interaction is one of the most significant elementary components of collaborative knowledge acquiring. This is typically categorized as the process in which the people provide each other with effective as well as efficient assistance and help. This process also entails the tasks of exchanging resources which are needed, sharing feedback with each other, making challenges to the other people’s opinion as well as their conclusions and reasoning with the intention of promoting higher-quality decisions, promoting efforts for achievement of the shared objectives, acting in ways which are trustworthy as well as trusting, staying motivated for striving for mutual benefits, and feeling lower level of and anxiety (Sharan, 1990). 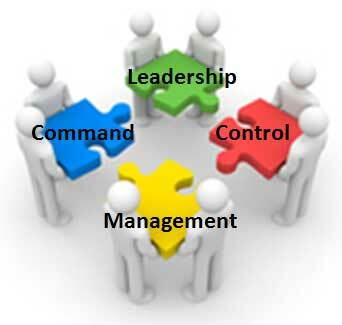 Ability for directing: It is important for the managers as well as the leaders to direct the daily work efforts for the entire group which the person is managing or leading. These tasks also include processes related to reviewing required resources needed and anticipating the requirements during the activities. 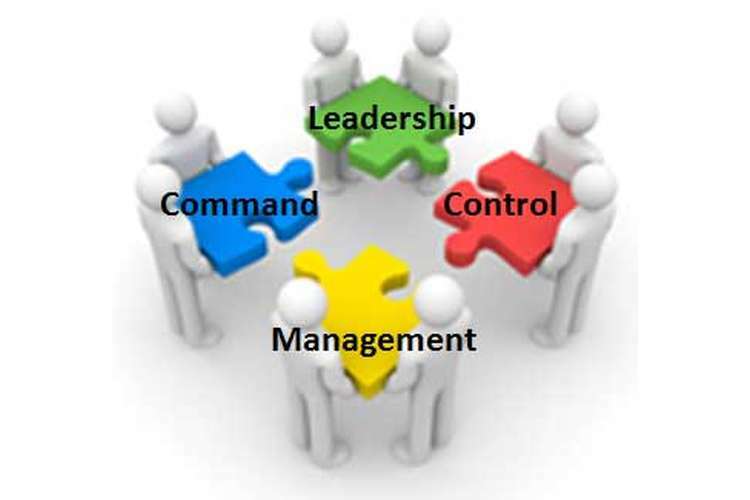 Focus on the people management: It is imperative for the leaders and managers to take care of the people whom they are managing and leading as well as their needs. It is also important for these managers and leaders to listen to the other internal stakeholders of the company in addition to involving them in the various decision making of the companies. Bandura, A., & Wood, R. (1989). Effect of perceived controllability and performancestandards on self-regulation of complex decision-making. Journal ofPersonality and Social Psychology, 56, 805-814. Bass, B.M. (1990) Handbook of Leadership: Theory, Research, and Managerial Applications 3rd ed., New York: Free Press. Becker, K. H., & Maunsaiyat, S. (2004). A Comparison of Students' Achievement and Attitudes between Constructivist and Traditional Classroom Environments in Thailand Vocational Electronics Programs. Journal of Vocational Education Research, 29(2), 133-153. Blake, R. R., & McCanse, A. A. (1991), Leadership Dilemmas—Grid Solutions Houston: Gulf Publishing. 3rd ed. Hallinger, P., & Kantamara, P. (2000). Educational Change in Thailand: Opening aWindow onto Leadership as a Cultural Process. School Leadership &Management, 20 (2) 189-205. Johnson, D. W., & Johnson, R. T. (1990). Cooperative Learning and Achievement. In S. Sharan (Ed. ), Cooperative learning: Theory and research (pp. 23-37). NewYork: Praeger. Johnson, D. W., & Johnson, R. T. (1993). Implementing Cooperative Learning.Education Digest, 58(8), 62. Johnson, D. W., & Johnson, R. T. (1999). Making co-operative learning work. Theory into practice, 38(2), 67-73. Johnson, D. W., & Johnson, R. T. (2002). Social interdependence theory anduniversity instruction theory into practice. Swiss Journal of Psychology,61(3), 119-129. Johnson, D. W., & Johnson, R. T. (2003). Student motivation in co-operativegroups:Social interdependence theory. In R. M. Gillies & A. F. Ashman(Eds. ), Co-operative Learning: The social snd intellectual outcomes of learning in groups. New York: Taylor & Francis Group. Johnson, D. W., & Johnson, R. T. (2004). Assessing Students in Groups. California: Corwin Press. Morgan, B. M. (2003). Cooperative learning in higher education: undergraduate student reflections on group examinations for group grades - a study of the reflections of 140 university seniors who participated in cooperative written examinations for group grades. College Student Journal, 37, 40. Murdoch, K., & Wilson, J. (2004). How to succeed with Cooperative learning. Victoria: Curriculum Corporation. Ormrod, J. E. (1999). Human learning (3rd ed.). Upper Saddle River, NJ: Prentice- Hall. Pintrich, P. R., & Schunk, D. H. (1996). Motivation in education: Theory research and applications. Columbus,OH: Merrill. Rojas-Drummond, S., & Mercer, N. (2003). Scaffolding the development of effective Collaboration and learning. International Journal of Educational Research 39, 99-111. Sharan, S. (1990). Cooperative Learning. New York: Praeger. Slavin, R. E. (1996). Research on Cooperative Learning and Achievement: What WeKnow, What We need to Know. Contemporary educational psychology, 21,43-69. Stipek, D. (1996). Motivation and instruction. In D. C. Berliner & R. C. Calfee(Eds. ), Handbook of educational psychology (pp. 85-113). New York:Macmillan.